The openSUSE Conference brings together users, contributors and friends of the openSUSE project from 20th to 23rd October in Nuremberg, Germany. Over four days, more thanÂ seventy talks and workshops explore the theme of ‘Collaboration Across Borders‘ in Free and Open Source software communities, administration and development. 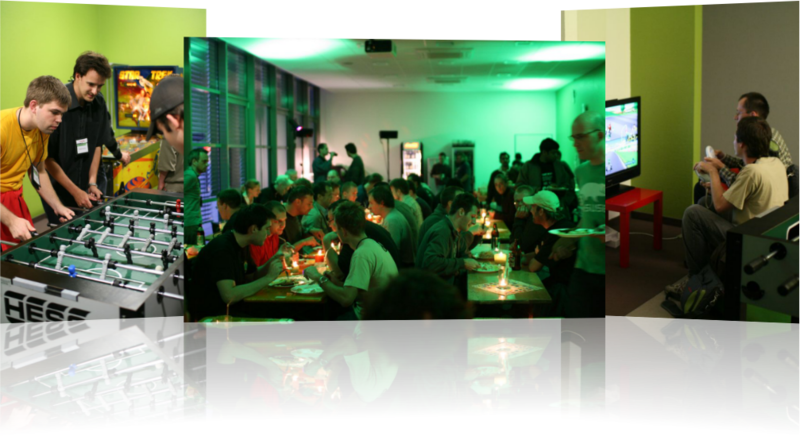 The conference is the yearly get-together ofÂ the openSUSE project to give its people a chance to meet face to face, talk to and inspire each other. It takes place in the BerufsfÃ¶rderungswerk Nuremberg in the beautiful surroundings of the Franconian metropole. Everybody interested is welcome to join and enjoy the program which starts each day at 9am, the admission is free. Read on to learn more about details of the program, involved people and the event in general. Why should you be at the openSUSE conference? 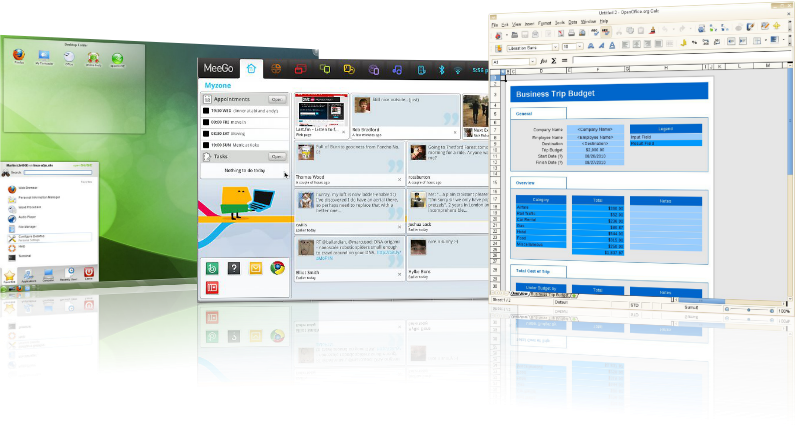 To explore the latest Free Software, go beyond the desktop and server and to break down barriers to business…. Attend talks and workshops exploring the horizons of software, with representatives from several projects highlighting their latest work. Including a complete sidetrack about OpenOffice.org – the free and open productivity suite for word processing, spreadsheets, presentations and more. A look into the future of the free desktop with talks from the GNOME and KDE desktop communities and on Saturday a track will be held by our Education Team and friends about different open source solutions for the education sector. Linux drives not only your laptop and the server your website is running on, the penguin also goes beyond heavy metal. From very small devices like smartphones to virtualized workloads in the cloud. And so is the openSUSE conference. Talks in this area include a presentation of Smeegol, an openSUSE spin of the mobile computing interface MeeGo, a guide to build your own version of Google’s mobile operating system Android, working with the openSUSE Build Service and Nokia’s OVI store and a workshop how to control your own cloud services. SUSE Linux Enterprise is an industry leader trusted with mission-critical data centers and desktops. The ideas that find their way into supported, hardened structures of SLE have their genesis in the flexible, affordable community development that is openSUSE. Find out how openSUSE can help you achieve your business goals. Share your ideas and explore how future developments can provide innovative and effective solutions. A broad range of topics include management of IT Infrastructure with the LAX Framework, High Availability setup of openVPN, and secure deletion of data with Linux. Whether you are new to Linux or are an expert…. Are you a Linux Newbie? This is a great chance to get to know the Free Software philosophy and to meet the most famous hackers of our project and the many other Free Software projects openSUSE works with. There will be workshops and small-scale meetings to help you learn to work with and contribute to Linux and openSUSE. You’ll meet experienced users who will guide you through this new and exciting world. If you want to help out – you can! Learn about the principles of successful Open Source communities and how you can run your own Open Source event or project. The openSUSE Build Service is a powerful tool that enables developers to deliver their software to users of major distributions, creating packages for current and past releases of Ubuntu, Fedora, Red Hat, SUSE Linux Enterprise, Mandriva and of course openSUSE. You can easily create repositories and use the dashboard to get an overview of the build process with its easy-to-use web interface. The Build Service uses virtualization to build each package on the distribution it is meant for, ensuring compatibility and stability. Join the thousands of developers already using OBS and learn how to use it at the openSUSE Conference! To shape openSUSE and because it’s fun! openSUSE is an international project that brings together the brightest minds from around the world to create an innovative and powerful all purpose operating system, enabling people across the globe to take advantage of Linux and Free Software. You don’t have to be a technical guru to help shape openSUSE. You can contribute to the growth of this exciting open source project, help to define the direction and build the community. At the conference you’ll be introduced to the new openSUSE strategy and discover how ‘Less is More’ applies to crowdsourcing the openSUSE Media. You will get to know and work with key people, talk with them, be inspired by them! There is a person behind every piece of our code, and we think that human interaction is vitally important. This is great chance to talk about your experience using openSUSE, face to face with the people behind it. To tell us what’s wrong and what’s right, or maybe just have a sneak preview into the future of openSUSE. And of course, one of the most enjoyable aspects of any conference – the chance to get together over a coffee, beer or a keyboard, with people who share your enthusiasm! Free and Open Source Software is all about community. Collaborating together, we discover that we have more similarities than differences, and we each offer something of value. At the openSUSE conference, your contribution is celebrated – developer, packager, translator, artist, user – there is something for all. We make a difference! Just register today in our conference tool at http://conference.opensuse.org and swing by the venue at the 20th. If you need accommodation there is a wide range of hotels available including the conference hotel which is attached to the venue. Nuremberg is a well connected city in the middle of Europe, you can reach it by Car, Train or Plane. And once you’ve signed up spread the word about it and tell all your friends! We’ve prepared some artwork for you to do that. Credits for writing: Bruno Friedmann,Â Chuck Payne,Â Fransisco Arias,Â Sirko Kemter, Helen South, Henne Vogelsang andÂ Javier Llorente. Can we all get to find out who is openSUSE QA – Manager and be assured that the QA Manager of the Project is working to a Quality Model. The rest of Europe and the most manufacturing in the rest of the world did not Legislate, Quality Models were first created and applied by Japan after WWII. That was the birth place of a Quality System. There are many documented ISO’s, that apply to different businesses. Software Development we use parts of 9001/9002. The International Standards Office is in Brussels; and deservingly so. is not able to even reply to a Federal/State/Local Government. Tender let alone continue to trade with it. I for one, would feel far safer travelling in a Vehicle, constructed under QA, on a Road built under QA, Tyres built on QA; having a mindset that Products I enjoy and the Profet Share Holders Enjoy BOTH Increase! Has anyone put a dollar value on the man-hours needed to fix our Problem Management Facility – Bugzilla in all its numbers. COST IN MAN HOURS of EVERY PIECE of INFORMATION can EASILY get from FATE/Bugzilla.